If you are attempting to go sugar free, chances are that you are going to run into recipes made with stevia. Sooner rather than later. You simply won’t be able to avoid it. Fortunately, it’s now a fairly easy-to-obtain ingredient, sold in supermarkets, health food stores and all across the web under various guises. Sometimes it’s in liquid form, sometimes it’s powdered. Sometimes it’s mixed with other alternative sweeteners, sometimes it comes on its own. But WHAT is it? I mean really, what do you know about stevia? I will tell you, I knew next to nothing before becoming a diabetic. I knew it was supposed to be all-natural, I knew it was supposed to be sweet. Beyond that, it was barely a blip on my radar. Here’s what I know now…stevia comes from the leaves of a plant called Stevia rebaudiana, native to Paraguay. The compound that comes from the leaves is much, much sweeter than sugar (up to 30 times more sweet, according to some). Stevia has been used as a sweetener by native Paraguayans for centuries, and is popular as a sugar substitute in Asia. But in the US, Canada and Europe, it was only recently approved by the FDA as a sugar substitute. Prior to a few years ago, stevia could only be sold as a dietary supplement, since the FDA has little control over supplements (a rather scary thought, no?). In 2008, the FDA approved rebaudioside A, a very refined stevia extract, and now it’s popping up all over the place in diet foods, drinks and sweeteners like Truvia (a combination of erythritol and stevia). I’ve been using stevia for a while now, almost exclusively in its liquid form. But I had a chance to try Stevia in the Raw recently, a product I’ve been eyeing in magazine ads and on grocery store shelves. 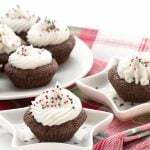 Because stevia extract is so sweet, it can be hard to figure out how to cook and bake with it. It takes a little getting used to, and I’ve learned from experimenting with it. But Stevia in the Raw takes the guesswork out of it, by producing a product that can replace sugar, cup for cup. To make it so, it is combined with maltodextrin, a food additive made from starch and found in many foods and drinks. I’ve gotten so used to my own methods of sweetening my goodies, I almost don’t know how to use anything that can be substituted for sugar cup for cup anymore! But I decided I had to give it a try and biscotti seemed like an ideal trial recipe. I was craving some to go with my morning coffee and I had the idea to flavour them with the spices that give Chai tea its flavour. I have fallen in love with cardamom lately, using it in cakes and cookies to give them an exotic flair. I keep the seeds whole and grind them as I need them. And it’s a spice with a lot of presence, so a little goes a long way. The Results: What can I say about biscotti that hasn’t already been said? It’s crunchy and hard but softens up so perfectly when dipped in coffee (or tea, if you are a tea drinker). The chai spices are wonderful in it, and the cardamom is present without being overwhelming. And the Stevia in the Raw performed very well! I put in 3/4 cup and it was definitely sweet enough. I could almost cut back to 1/2 and be happy, but my tastebuds have changed and tend not to like things very sweet anymore. I certainly wouldn’t put more than 1 cup in this recipe. I like this product quite a bit and will definitely continue to use it. 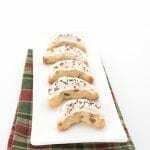 There is no powdered form (yet), so the glaze for these biscotti is made with powdered erythritol. I certainly won’t give up on my other sweeteners, like erythritol, xylitol and liquid stevia, but it’s good to be able to add another reliable product to the mix. I can see using it to sub out some of the sugar in treats for my kids, like cookies and cakes, to help cut down on their sugar consumption. One small note: the glaze on these biscotti is almost purely decorative. It doesn’t really add or detract from the flavour, it’s just to make them a little more visually interesting. So I won’t be offended if you leave it out! In a large bowl, whisk together almond flour, Stevia in the Raw, baking powder, cinnamon, cardamom, ginger, cloves and xanthan gum. In a medium bowl, stir together melted butter, egg, vanilla extract. Add wet ingredients to dry and stir vigorously until dough comes together. Turn dough out onto baking sheet and form into low, flat log, 10 x 4 inches. Bake 22 to 24 minutes, or until lightly browned and firm to the touch. Remove from oven and let cool 15 minutes. Reduce oven temperature to 250F. For the glaze, whisk together the powdered erythritol and the tea until smooth. Drizzle over cooled biscotti and let set. Serves 15. Each biscotti has a total of 5g of carbs and 2g of fiber. 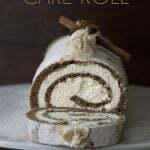 looks yummy I have yet to bake anything with a sugar substitute. I may have to give this a go. I will have to look out for some Stevia in the raw too. Your biscotti sound really great with all the listed spices. wow! !i have never made a biscotti before. I am really going to try this. thanks for sharing this. I am a huge fan of chai. I've never made biscotti before but I'll be trying this recipe very soon. Thanks for the stevia education. I jump between regular white sugar and the raw turbinado but consider trying others just to give them a whirl. I'm more of a winter biscotti eater, when I drink hot coffee so I will save your recipe to make a few months from now. I drink chai (learned recipe from my Indian friend) everyday because I'm so addicted to cardamom taste/fragrance. This sounds like it would be my favorite biscotti… I love all of the pictures here. Yum yum yum! I am weak in the face of all things chai! 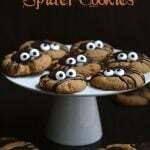 I can't wait to make these! We grow stevia in the community garden I volunteer at! I was totally amazed the first time I bit into a leaf! Now, I totally know what I am going to do with it…make this biscotti! i absolutely can't live without chai or any other tea for that matter…hehe! And these chai biscottis look so appealing! Glad you liked the way Stevia in the Raw worked out. 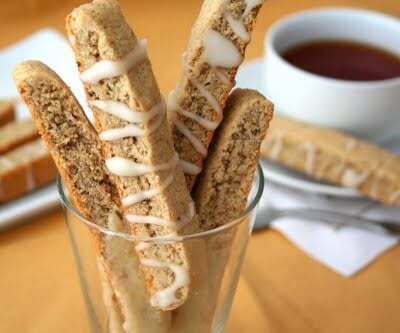 The chai biscotti sound delicious, great flavor idea! These biscotti are gorgeous! Love that you used almond flour in these so they're gluten-free. 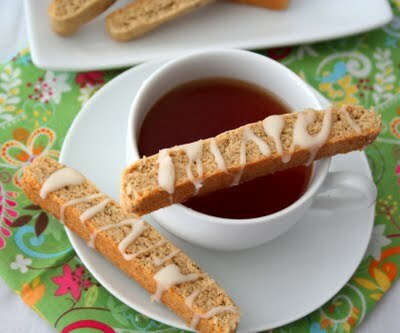 Chai spice mix is one of my favorites – what a neat idea in biscotti – would love to have one of these with a cup of tea! I just love biscotti and yet I have never made it. I want to try it with the stevia. This looks delicious. Those are some beautiful pictures you have! Your recipes looks very yummy. This sounds amazing! 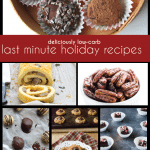 I love that they are low carb. 🙂 Great photos by the way! Carolyn, I really appreciated you taking us through Stevia. I have to say that I can't find it here but I really need to try out your sugar alternatives. Amazing gluten free biscotti. 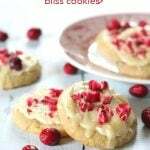 I'm not normally a fan of these biscuits but somehow you've managed to change my mind and try them again – especially dressed up with a glaze and with exotic cardamom with a chai – since they're totally transformed! I think you could actually skip the xanthan altogether and just cut them VERY gently when you take them out of the oven the first time. Be sure to let the log cool for 30 minutes or so first. This was a great article/post Carolyn. I too have been aware of Stevia for years but would have had no idea how to integrate it into baking. Do you find it has any after taste? Also I've not tried to make a GF biscotti! Have my Grandmother's old recipe and may substitute the almond flour to give it a whirl. Thanks for the nudge! Wow… This is fabulous! I can imagine how fragrant and delicious this must be! And gluten-free too! 🙂 Great post, Carolyn! 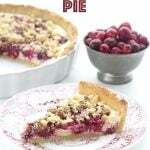 you have gorgeous recipe collection with excellent clicks.. Drinking coffee now and craving these now. I love cardamom and anything with chai in the recipe title. Yummy! This is really great Carolyn! I have to sent this to my aunt..she would love it! 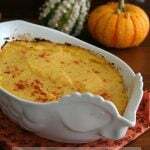 Your recipe is fantastic and presentation and photos just beautiful!! I love that it measures the same as sugar! Your pictures are EPIC! and everything looks very good in them. Wow, this sounds so wonderful. I don't eat a lot of biscotti because they usually aren't very healthy but these are perfect! I have a stevia plant in my garden and just recently got a shipment of various products from a giveaway…this is a lovely biscotti and a very informative post 🙂 Will want to reference back to it when I try out the products, if that is OK? Love the flavors of chai spice in my sweets. These biscotti look delish! Of course, I'm always looking for treats to enjoy my daily cups of tea and these just perfect. we love biscotti in our house, and I really need to start cutting back on sugars, Stevia sounds like the best way to do it. My grocer only has little packets of Stevia in the Raw, I have been looking for boxes, I would love to try it in my baking recipes! Your biscotti looks delicious, and the chi spice sounds like a very nice idea! Oh I have been wanting to try stevia in the raw! Thanks for the great review. 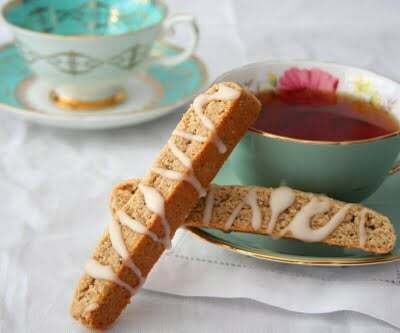 The Chai Biscotti sounds delish! Carolyn I've been on the hunt for a gluten-free biscotti recipe. So psyched to try this. I love tea and I really enjoy having a sweet like this with my tea. Hi, I just found your blog yesterday and I like it! 🙂 These biscotti look so good. I look forward to more of your recipes. I subscribed! This biscotti looks fantastic … Love the GF factor … it's always nice to be able to make a treat for my dear friend who is gluten intolerant. I also like your special chai touch in the biscotti and in the tea-based glaze. I bought some Stevia from Bulk Barn the other day. This recipe will be a great way to try it out! Thanks for sharing. I just made these this afternoon. They are SO yummy! Thanks for the recipe! Do you make the powdered erythritol in a food processor or blender…or did you find it pre-packaged?…I LOVE the idea of the glaze “finish”…so visually alluring!…I am “there” for Chai or cardamom ANYTHING….and I am into all things biscotti. Thank you for this healthy riff…so well detailed/explained. I appreciate all of your culinary “homework”!! It helps so much with the process! 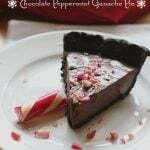 Could I substitute Swerve for the stevia on the raw in this recipe? Would the amount stay the same? Thanks! I am interested in trying these but I don’t use the products listed. Can I use regular flour for the almond flour? How about regular sugar for Stevia? What is xanthan gum? 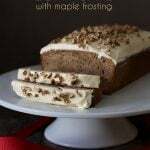 I absolutely love anything chai and these look terrific!! 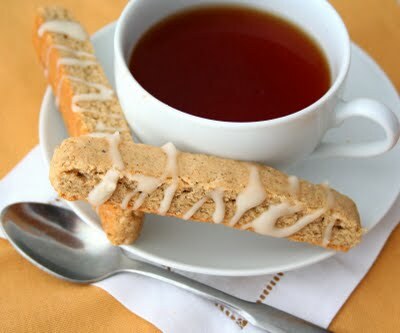 I would suggest you find a recipe for plain biscotti made with real flour and sugar and just add the chai spices. Just made this today but I like to use Truvia’s brown sugar. I love the caramelized flavor of brown sugar in this. I know it’s not really “Paleo” but…it’s still better than refined sugar.